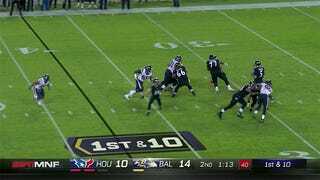 Nothing about Joe Flacco’s box score from Monday night’s win over the Texans really sticks out, for better and worse. There’s no bushel of lurid interceptions or even a shocking number of incompletions to grimace at, just as there’s nothing there to be impressed by. 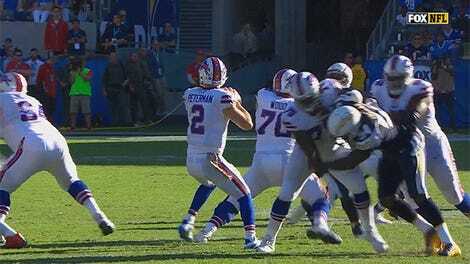 It’s just... there: 20-of-32 for 141 yards, no touchdowns, no interceptions. 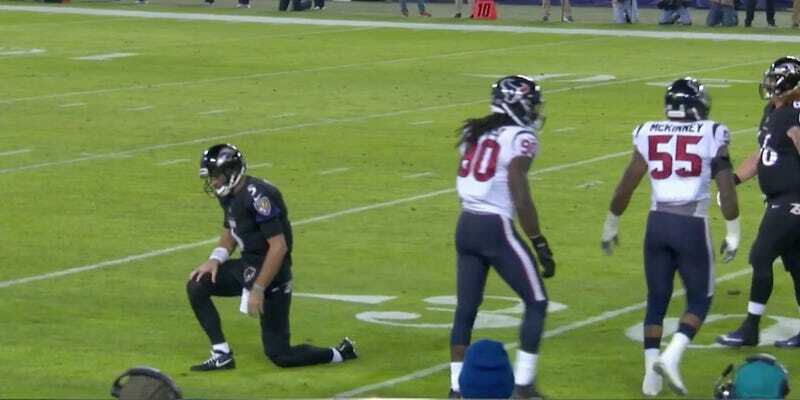 Just there has been the story of Flacco’s season. I’ve previously spent time in this space slagging the 49ers for deploying one of the limpest passing attacks in the league, but the collective flailing Brian Hoyer and C.J. Beathard is nothing when compared to Flacco’s supremely unambitious body of work. 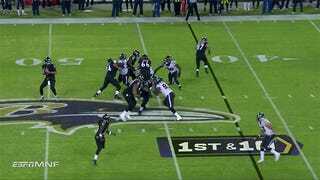 Flacco, once known for having one of the strongest arms in the NFL, is suddenly allergic to the deep ball. The Ravens have still managed a 6-5 record, so I guess this is kind of working out for them. But as a viewing experience there are few things on earth less fun than a Ravens game in 2017. 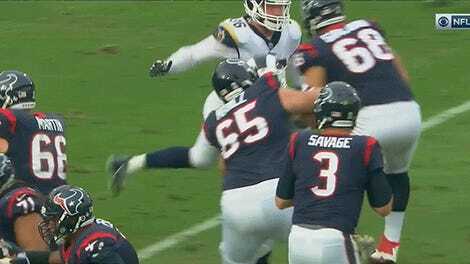 Monday’s game, in which Flacco squared off with Tom Savage, a true titan in the field of aesthetically punitive quarterbacking, was a perfect answer to any question about why NFL ratings are down. Please, try to contain yourself! I’ve ripped my shirt off and I’m now standing on my desk hooting and hollering over these incredible displays of virtuosity. Flacco has eclipsed the 200-yard mark just four times this season, and he has thrown more than one touchdown in a game just twice. He throws for an average of 170 yards per game, and his leading receiver, Mike Wallace, has 371 yards and three touchdowns on the season. 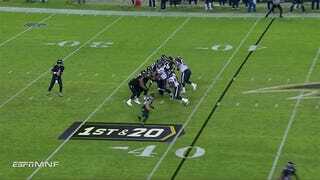 The Ravens even brought Danny Woodhead back into our lives just so Flacco would have someone else to throw check-downs to. This is a brand of football that can only barely be suffered through, and can never be enjoyed. It’s football designed to be watched by depressives. 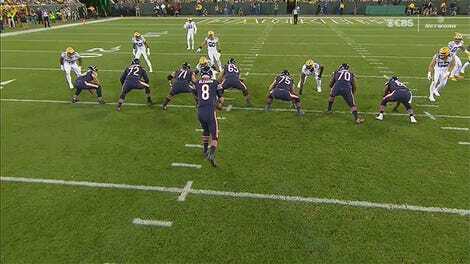 It’s football that feels like math homework. It’s football that will give you a hangover. It’s football that you will probably be seeing in the playoffs this year.